SalesCandy™ has set to raise RM1.5 million through the equity crowdfunding (ECF) platform, pitchIN. Equity crowdfunding is a method for startups and SMEs to raise funds from the general public. Investors search for deals on ECF platforms to invest in businesses in exchange for a direct equity stake in those businesses. pitchIN is registered with the Securities Commission of Malaysia as a Recognised Market Operator (RMO) for the purpose of offering Equity Crowdfunding related services. 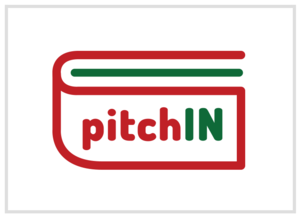 Founded in 2012, pitchIN has become the most successful equity crowdfunding platform in South East Asia. Two of the most notable companies that have successfully raised funds in record time on pitchIN are KakiTangan.com and Babydash. Human resource platform KakiTangan.com raised RM1 million from 63 investors through pitchIN in less than 24 hours. While the online baby product store Babydash hit its minimum funding target of RM200,000 in less than a week and raised RM1.6 million from 131 investors. A research by the Harvard Business Review shows that an online lead contacted within an hour has seven times better chances of being qualified than contacted after an hour. That is why SalesCandy's capability of instantly routing leads to a salesperson’s phone is a game-changer. Unattended leads will be automatically rerouted to the next available salesperson after 45 seconds. It tracks various actionable metrics and instantly audits every lead status update and alert the sales managers of any possible follow-up issues and non-performing salespeople. Instant Routing, Auto Rerouting, and Smart Alert are SalesCandy’s patent pending innovations. Update July 18th, 2017: SalesCandy is also a certified Angel Tax Incentive Investee Company.